This page is dedicated to the many groups, clubs and volunteers that dedicate their time and resources to bettering our community. Here you will find information about and by these groups including how you too can become involved in enhancing life in Mono. If your group is not on this page, it may be listed on another page of the website such as the Ongoing Programs page. Dufferin.Biz is a joint project between the County of Dufferin, its member municipalities and local groups designed to market the collective assets of our community. Headwaters Communities in Action (HCIA) is a citizens group that fosters leadership and action in support of a long-term vision of community well-being for the Headwaters Region. 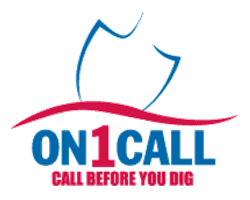 Call Before You Dig 24/7 for A FREE Locate 1-800-400-2255. Before you dig, think about what services might be buried in the ground, because what you can’t see can hurt you! Road Watch is a joint police and citizen program that makes it easy to report dangerous and aggressive drivers. Volunteer Dufferin is a project of Headwaters Communities in Action (HCIA. It is a web-based platform that matches volunteers with a broad range of opportunities in Dufferin County. Dufferin Farm Fresh - Dufferin County's local food map - connecting consumers to their local farmers and food producers. My DUFFERIN is an online directory of community services for the residents of Dufferin County. A not-for-profit social club open to retired and semi-retired professionals, business and like-minded people, and their spouses. TeleCheck Dufferin's mission is to build Community Health and Capacity through meaningful and timely support and connecting people to information, services and each other.